Travelling on your own or with your partner? You don't need to compromise on space and facilities, our studio apartments offer plenty of room. A private balcony or deck area to enjoy the view .spacious cooking area and plenty of room around your king-sized bed. This apartment features a fully equipped kitchen, your own personal laundry facilities, a smart TV with 50+ Sky digital channels, Netflix,an air conditioning heat pump and Unlimited fast,FREE Wi fi. 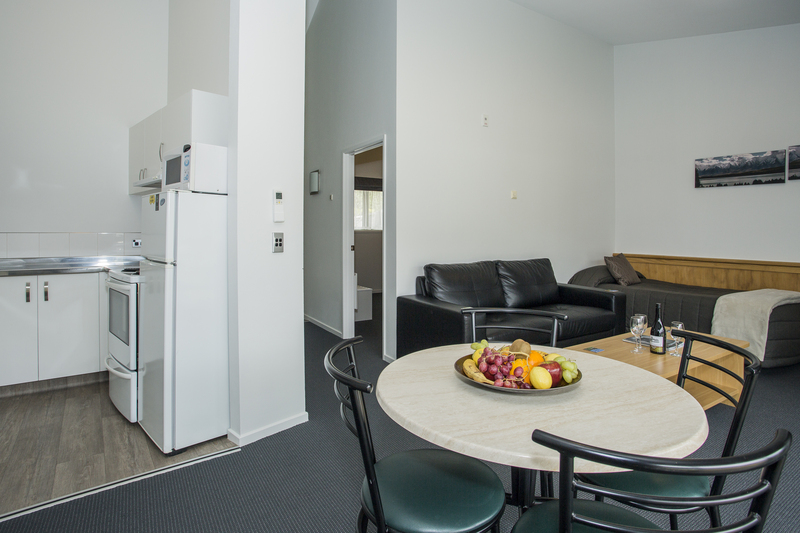 You will enjoy in your apartment at Clearbrook Motel, Wanaka. 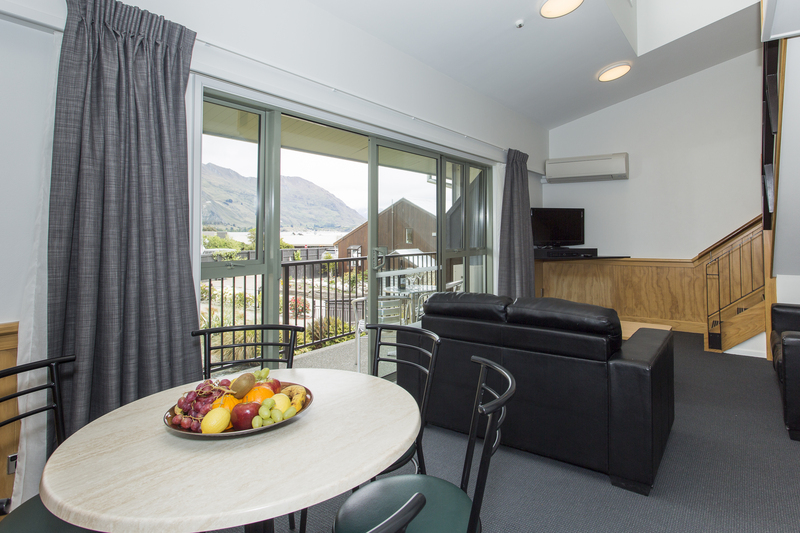 Any time of the year, our studio apartments are a cosy, comfortable and relaxing base for your Wanaka holiday. Visiting Wanaka with your partner , family or on Honeymoon? We`ve got the perfect base for you. Our one-bedroom apartments offer comfortable accommodation for up to four guests. A private balcony or deck and a luxurious spa bath with a shower over the spa bath. Bedroom has a king size bed and 2 single beds in the living area. This apartment features a fully equipped kitchen, your own personal laundry facilities, a smart TV with 50+ Sky digital channels, Netflix,an air conditioning heat pump and Unlimited fast FREE Wi fi. You`ll enjoy returning here after a day enjoying Wanaka's many activities and attractions. And, if relaxing is top of your agenda, your apartment will be the perfect place for putting your feet up and enjoying the view. Rate is for 2 guests, maximum 4. 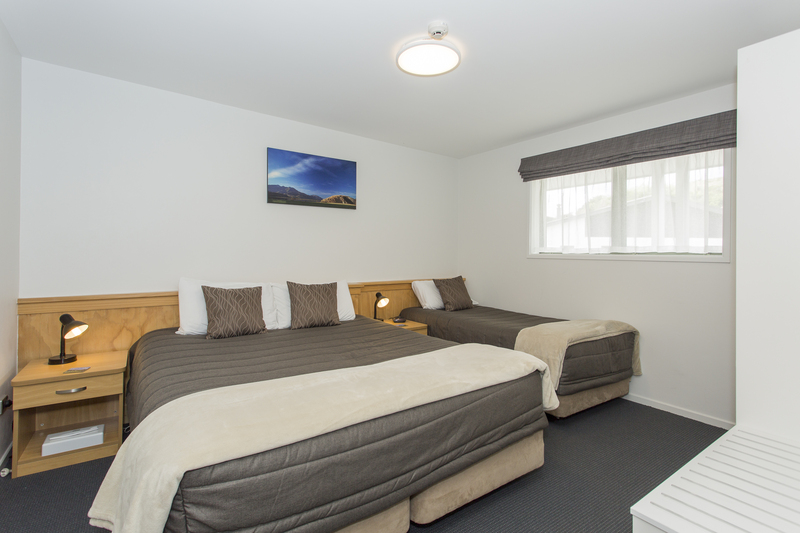 Visiting Wanaka with your family or a group of friends or just need some space? We`ve got the perfect base for you all! Our two bedroom apartments, which are on the upper floor, offer comfortable accommodation for up to 6 guests with a king size bed and a single size bed in the bedroom downstairs and a king size bed and a single size bed upstairs on the mezzanine floor. This apartment features a fully equipped kitchen, your own personal laundry facilities, a luxurious spa bath, a smart TV with 50+ Sky digital channels, Netflix,an air conditioning heatpump and unlimited, fast, FREE WIFI. You`ll enjoy returning here after a day engaging in Wanaka`s many activities and attractions. And, if relaxing is top of your agenda, your apartment will be the perfect place for putting your feet up and enjoying the view from your private balcony or deck. 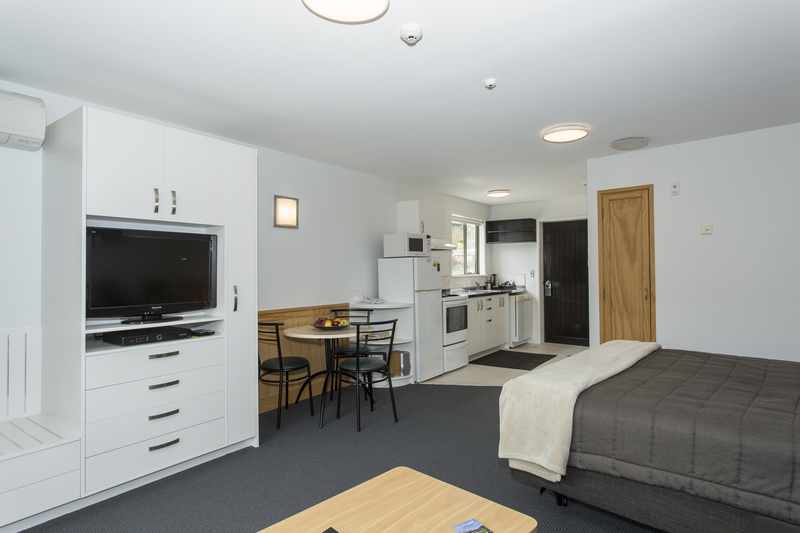 Any time of the year, our two bedroom apartments are a spacious, well appointed and relaxing home away from home, during your stay in Wanaka. Rate is for 4 guests, maximum 6.